I have long been a fan Bosch Fawstin political cartoons exposing Islam. Check it out! Adam, the leaker, Schiff must be investigated for his unethical actions. 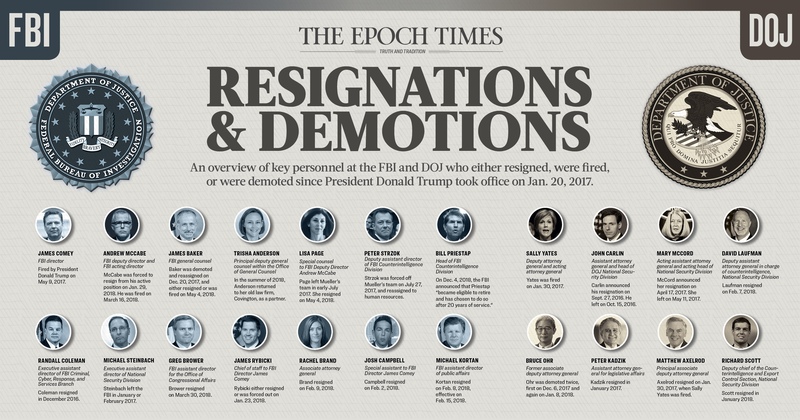 Ethics Committee issued violations might lead to some serious swamp draining. Author oneway2dayPosted on April 3, 2019 April 3, 2019 Categories UncategorizedLeave a comment on Adam, the leaker, Schiff must be investigated for his unethical actions. Even those who are aware will be shocked by the detailed, intertwining machinations to “get Trump”. Long but worthy of the read if you want to understand the evil behind the coup plot to remove President Trump! The following post is very long, detailed, and informative. It is like reading a spy thriller novella. Author oneway2dayPosted on March 30, 2019 Categories UncategorizedLeave a comment on Even those who are aware will be shocked by the detailed, intertwining machinations to “get Trump”. It is irrelevant if Obama was natural born or foreign born at this point. His damaged two presidential terms are over. What is relevant is undoing the damage with indictments against his crooked Administration officials which should include Obama himself! 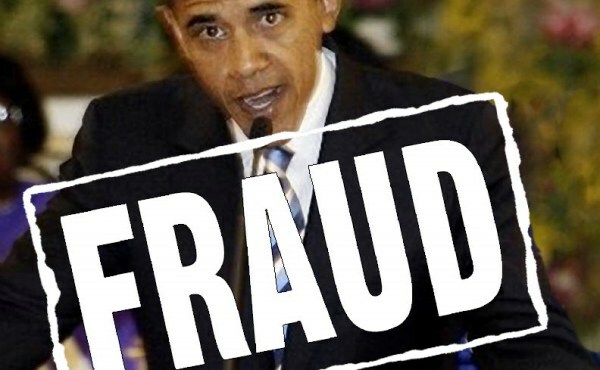 Author oneway2dayPosted on March 13, 2019 Categories UncategorizedLeave a comment on More flashbacks regarding the previous administration and the treasonous collusion to protect it. Another nail in the coffin of the Mueller Investigation trying to frame President Trump for working with the Russians to win Election 2016. Dems are lying AGAIN. The DNC emails published by Wikileaks in 2016 were not obtained via a Russian hack, cyber-security and intelligence experts William Binney and Larry Johnson claim. According to forensic evidence, the files taken from the DNC between 23 and 25 May 2016, were copied onto a file storage device. Thegatewaypundit.com reports: If the Russians actually had conducted an internet based hack of the DNC computer network then the evidence of such an attack would have been collected and stored by the National Security Agency. We believe that Special Counsel Robert Mueller faces major embarrassment if he decides to pursue the indictment he filed–which accuses 12 Russian GRU military personnel and an entity identified as, Guccifer 2.0, for the DNC hack—because the available forensic evidence indicates the emails were copied onto a storage device. 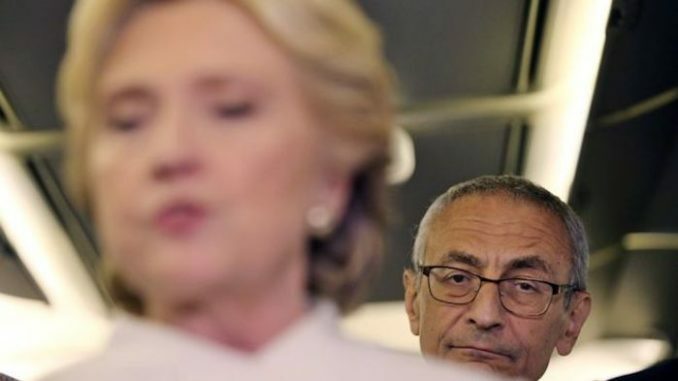 “In 2016, officials in Unit 26165 began spearphishing volunteers and employees of the presidential campaign of Hillary Clinton, including the campaign’s chairman. Through that process, officials in this unit were able to steal the usernames and passwords for numerous individuals and use those credentials to steal email content and hack into other computers. They also were able to hack into the computer networks of the Democratic Congressional Campaign Committee (DCCC) and the Democratic National Committee (DNC) through these spearphishing techniques to steal emails and documents, covertly monitor the computer activity of dozens of employees, and implant hundreds of files of malicious computer code to steal passwords and maintain access to these networks. Notwithstanding the DOJ press release, an examination of the Wikileaks DNC files do not support the claim that the emails were obtained via spearphishing. Instead, the evidence clearly shows that the emails posted on the Wikileaks site were copied onto an electronic media, such as a CD-ROM or thumb drive before they were posted at Wikileaks. The emails posted on Wikileaks were saved using the File Allocation Table (aka FAT) computer file system architecture. An examination of the Wikileaks DNC files shows they were created on 23, 25 and 26 May respectively. The fact that they appear in a FAT system format indicates the data was transferred to a storage device, such as a thumb drive. We have examined 500 DNC email files stored on Wikileaks and all 500 files end in an even number—2, 4, 6, 8 or 0. If a system other than FAT had been used, there would have been an equal probability of the time stamp ending with an odd number. But that is not the case with the data stored on the Wikileaks site. All end with an even number. The DNC emails are in 3 batches (times are GMT). The random probability that FAT was not used is 1 chance in 2 to the 500th power or approximately 1 chance in 10 to the 150th power – in other words, an infinitely high order. This data alone does not prove that the emails were copied at the DNC headquarters. But it does show that the data/emails posted by Wikileaks did go through a storage device, like a thumb drive, before Wikileaks posted the emails on the World Wide Web. This fact alone is enough to raise reasonable doubts about Mueller’s indictment accusing 12 Russian soldiers as the culprits for the leak of the DNC emails to Wikileaks. A savvy defense attorney will argue, and rightly so, that someone copied the DNC files to a storage device (E.g., USB thumb drive) and transferred that to Wikileaks. We also tested the hypothesis that Wikileaks could have manipulated the files to produce the FAT result by comparing the DNC email files with the Podesta emails (aka Larter file) that was released on 21 September 2016. The FAT file format is NOT present in the Podesta files. If Wikileaks employed a standard protocol for handling data/emails received from unknown sources we should expect the File structure of the DNC emails to match the file structure of the Podesta emails. The evidence shows otherwise. There is further compelling technical evidence that undermines the claim that the DNC emails were downloaded over the internet as a result of a spearphishing attack. Bill Binney, a former Technical Director of the National Security Agency, along with other former intelligence community experts, examined emails posted by Guccifer 2.0 and discovered that those emails could not have been downloaded over the internet as a result of a spearphishing attack. It is a simple matter of mathematics and physics. Shortly after Wikileaks announced it had the DNC emails, Guccifer 2.0 emerged on the public stage, claiming that “he” hacked the DNC and that he had the DNC emails. Guccifer 2.0 began in late June 2016 to publish documents as proof that “he” had hacked from the DNC. Taking Guccifer 2.0 at face value—i.e., that his documents were obtained via an internet attack—Bill Binney conducted a forensic examination of the metadata contained in the posted documents based on internet connection speeds in the United States. This analysis showed that the highest transfer rate was 49.1 megabytes per second, which is much faster than possible from a remote online connection. The 49.1 megabytes speed coincides with the download rate for a thumb drive. Binney, assisted by other colleagues with technical expertise, extended the examination and ran various tests forensic from the Netherlands, Albania, Belgrade and the UK. The fastest rate obtained — from a data center in New Jersey to a data center in the UK–was 12 megabytes per second, which is less than a fourth of the rate necessary to transfer the data, as it was listed from Guccifer 2. The findings from the examination of the Guccifer 2.0 data and the Wikileaks data does not prove who copied the information to a thumb drive, but it does provide and empirical alternative explanation that undermines the Special Counsel’s claim that the DNC was hacked. According to the forensic evidence for the Guccifer 2.0 data, the DNC emails were not taken by an internet spearphishing attack. The data breach was local. It was copied from the network. There is other circumstantial evidence that buttresses the conclusion that the data breach was a local effort that copied data. First there is the Top Secret information leaked by Edward Snowden. If the DNC emails had been hacked via spearphishing (as alleged by Mueller) then the data would have been captured by the NSA by means of the Upstream program (Fairview, Stormbrew, Blarney, Oakstar) and the forensic evidence would not modify times – the data would be presented as sent. Second, we have the public reporting on the DNC and Crowdstrike, which provide a bizarre timeline for the alleged Russian hacking. It was 29 April 2016, when the DNC claims it became aware its servers had been penetrated (see https://medium.com/homefront-rising/dumbstruck-how-crowdstrike-conned-america-on-the-hack-of-the-dnc-ecfa522ff44f). No claim yet about who was responsible. And what did CrowdStrike do about this? Nothing. According to Michael Isikoff, CrowdStrike claimed their inactivity was a deliberate plan to avoid alerting the Russians that they had been “discovered.” This is nonsense. If a security company detected a thief breaking into a house and stealing its contents, what sane company would counsel the client to do nothing in order to avoid alerting the thief? Utter nonsense. We know from examining the Wikileaks data that the last message copied from the DNC network is dated Wed, 25 May 2016 08:48:35. No DNC emails were taken and released to Wikileaks after that date. Why does a cyber security company wait 45 days after allegedly uncovering a massive Russian attack on the DNC server to take concrete steps to safeguard the integrity of the information held on the server? This makes no sense. A more plausible explanation is that it was discovered that emails had been downloaded from the server and copied onto a device like a thumb drive. But the culprit had not yet been identified. We know one thing for certain—CrowdStrike did not take steps to shutdown and repair the DNC network until 18 days after the last email was copied from the server. The final curiosity is that the DNC never provided the FBI access to its servers in order for qualified FBI technicians to conduct a thorough forensic examination. If this had been a genuine internet hack, it would be very easy for the NSA to identify when the information was taken and the route it moved after being hacked from the server. The NSA had the technical collection systems in place to enable analysts to know the date and time of the messages. But that has not been done. Taken together, these disparate data points combine to paint a picture that exonerates alleged Russian hackers and implicates persons within our law enforcement and intelligence community taking part in a campaign of misinformation, deceit and incompetence. It is not a pretty picture. This Blog Editor utilized spellcheck on the NWO Report post. © 2009-2018 Nworeport.me is a Murray Enterprise Company. I live in Tulsa. Illegal immigrants have flooded the Public School system, get free lunch and medical. This blog is damn right, that study is bogus!